NEW YORK TIMES BESTSELLER It's the dubious distinction of thirty-year-old Willa Jackson to hail from a fine old Southern family of means that met with financial ruin generations ago. The Blue Ridge Madam--built by Willa's great-great-grandfather and once the finest home in Walls of Water, North Carolina--has stood for years as a monument to misfortune and scandal. Willa has lately learned that an old classmate--socialite Paxton Osgood--has restored the house to its former glory, with plans to turn it into a top-flight inn. But when a skeleton is found buried beneath the property's lone peach tree, long-kept secrets come to light, accompanied by a spate of strange occurrences throughout the town. Thrust together in an unlikely friendship, united by a full-blooded mystery, Willa and Paxton must confront the passions and betrayals that once bound their families--and uncover the truths that have transcended time to touch the hearts of the living. 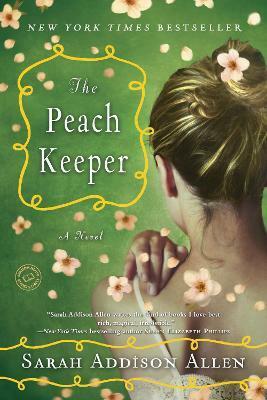 Sarah Addison Allen is the author of The Girl Who Chased the Moon, Garden Spells, and The Sugar Queen. She was born and raised in Asheville, North Carolina.